Robert Plant sounds jubilant on his first new studio record in four years. And why not? Forever linked with Led Zeppelin, the singer has spurned convention over the past three decades by ignoring lucrative requests to reconvene with his former mates and choosing instead to press on with a solo career marked with diversity, risk, and exploration. Yes, he’s leaving Fort Knox-level money on the table. Countless fans and industry folk—including Plant’s former right-hand man, guitarist Jimmy Page—tend to believe the 66-year-old English native bonkers for passing up an automatic nine-figure payday for simply playing old rock songs in exchange for the chance to gallivant with roots musicians such as Alison Krauss. Of course, let’s not forget Plant acquiesced to such requests, however briefly, by performing with Zeppelin for a one-off gig in 2007. At the time, Vegas put the smart money on a forthcoming reunion. Practically everything—and everyone—was in place save for the original golden-god frontman, whose decision to not partake rankled Page and ruined the get-rich-quick dreams of ticket scalpers around the world. No matter where you stand, however, it’s virtually impossible to not respect Plant’s integrity and desire to create rather than rehash. 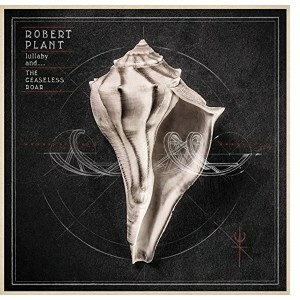 Anyone still baffled about Plant’s priorities should spend a few hours with lullaby and…the Ceaseless Roar, a charming album that both extends the singer’s perpetual fascination with the blues and dives into African, Welsh, English, and American landscapes with fearless intrigue and wide-eyed wonder. While Plant immersed himself in sub-Saharan territories on 2005’s mesmerizing Mighty Rearranger, he utilizes the eleven canvasses here as opportunities to blend old and new languages, traditional and contemporary influences, and related and disparate styles. Accessible and inviting, the album seems more familiar than strange. Songs welcome multifaceted pop foundations. Lyrics revolve around the headliner’s personal thoughts and experiences. In many ways, the set represents Plant coming full circle, a homecoming of sorts in which he threads together common strains that have always intrigued him—Appalachian bluegrass, Mississippi Delta blues, Texas blues, Chicago blues, African desert blues, Nashville country-and-western, Memphis R&B, Welch folk, ancient mythology—into loose knots that incorporate moderns devices such as dub reggae and avant-garde rock/trip-hop to form distinctively Western European compositions. Plant navigates his way across remote sonic and geographic borders via obsessive interest in and study of his subjects—and also by way of having a crack band, the aptly named Sensational Shape Shifters, at his behest. Guitarist Justin Adams (producer, Tinariwen), keyboardist John Baggot, bassist Billy Fuller (collaborator, Portishead), jazz-learned drummer Dave Smith, guitarist Liam Tyson (Britpop veteran), and Gambian multi-instrumentalist Juldeh Camara (a master of a one-string tribal fiddle called the ritti) reflect the same bottomless penchant for adventure and enthusiasm as their leader. Indeed, Camara’s out-of-left-field solo on the album-opening update of “Little Maggie”—a song popularized by bluegrass heroes the Stanley Brothers that receives two completely different treatments on lullaby and…the Ceaseless Roar—sets the mood for what follows. “I’m going away to leave you/In some far-off distant land,” utters Plant in a calm albeit breathy delivery, sounding akin to a warlock disturbed from slumbering at the top of a snow-capped mountain. As tour guide, Plant is in fine voice, trading the leather-lunged power of his Zeppelin days for added nuance, shading, phrasing, spaciousness, and soulfulness. And yet it’s completely possible to picture the highly grooved “Rainbow” gracing Side Two of Led Zeppelin II, with the hard-rock quotient slightly lessened and textures modestly increased. Plant and Co. delivers sparse, chapel-recorded ballads (the gorgeous, time-freezing “A Stolen Kiss”), rhythmic, acoustic-based dance numbers (the irresistibly warm and Celtic-flavored “Poor Howard”), and gypsy-wanderer blues-rock hybrids (the mystical “Pocketful of Golden”) with equanimous verve and skill. On the slow-moving contemplation “Embrace Another Fall,” Plant gives way to waves of hand-struck percussion, rippling psychedelic guitar, and a vocal interlude by Julie Murphy while marrying the future with the past. “I’m stuck inside the radio/Turn it on and let me out,” the vocalist implores in a high-register tone on the corrugated “Turn It Up,” a junkyard tune whose spare-part beats, funky grind, quicksilver tones, and carnival pulse simultaneously hypnotize and shake. The singer’s plea may as well be his creed. For the past two decades in particular, Plant has willingly trapped himself in global radio stations of his own imagination, eager to make the connections and pose the challenges few artists care (and dare) to construct. Vibrant and affirming, lullaby and…the Ceaseless Roar is his—and our—reward for keeping an ear to the ground.